Charisma, or Chrizzy as he’s usually known is the sweetest, gentlest little cockerel you will ever meet. 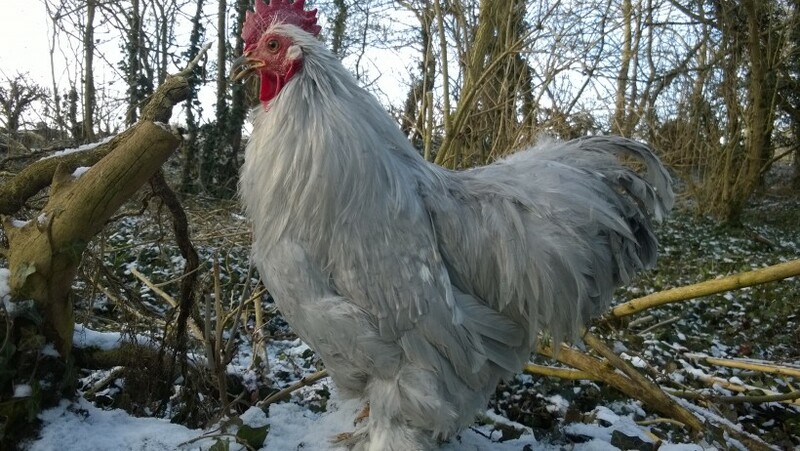 He is a lavender Pekin, but as a result of poor breeding, he is a funny little man. His tail feathers are bedraggled and his health is not good. When he came to us he was suffering from scaly leg mites and a chronic ear infection that had been left untreated for many months. He has to now have ear drops daily for the rest of his life. Despite this, he is a darling boy and loves to be picked up for a cuddle.